Allez-OOPS! brings back classic vaudeville acts with a comic twist. 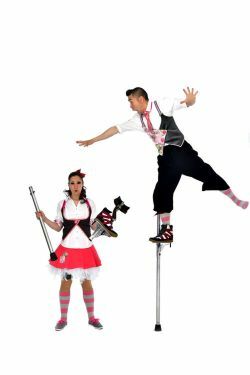 Married duo Rob & Miss Jane invites the audience to play with them as they dance on glass wine bottles, jump rope on stilts and even tame a BABY TIGER!